DC Direct’s statue output had remained strong and steady despite the wavering fortunes of its action figure line. Its Cover Girls of the DC Universe full sized statue line, based on designs by Adam Hughes, has been its flagship statue line in recent times, and shows no sign of dying down any time soon. Tonight I’m looking at the DC Direct Cover Girls of the DC Universe Supergirl Statue, which carries the banner of this great line very capably. 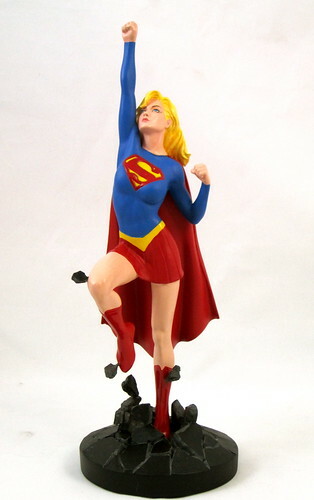 For starters, this statue gets top marks from me for using a classic Supergirl look. I am really not a fan of her current bare midriff garb - frankly I think it’s rather ridiculous looking. This is more of a 70’s style Kara - longer hair than her Silver Age look, but not yet in the 80’s headband and curls. It’s a perfect choice for this piece, and I like that the series is working across multiple eras. This is a different piece in the Cover Girls line in that it’s an action pose which depicts Supergirl in flight. It’s a nice change, and the piece is very nicely sculpted. The one thing that I feel could have improved the end result would have been a more determined or expressive look on Supergirl’s face to really emphasise the action element of the design. Hughes’ designs usually have a little spot of humour or glint in the eye, and this facial expression is a bit bland by comparison. It’s very rare that a statue’s paint job looks better in person than in the promo shots, but there is an element of that happening here. DCD’s promo photos for this piece left me a little bit unsure of the quality of paint on Supergirl’s face, but in person I’m very happy with it. After a hiccup in the paint QC department with previous release Poison Ivy, the Cover Girls line is back to its otherwise good track record in this area. This is a great addition to the Cover Girls line. I think the action pose is a nice contrast to many of the other pieces, and it adds some height and variety to the display if you choose to group them together. I would have loved to see a more definitive facial expression to really tip this piece over into perfection. Another thing that this majestic Supergirl statue has done is to reinforce my decision not to buy the recent Batgirl statue in this line. The humorous element to the Batgirl statue was part of the issue for me, but the cartoonish feel to the look of the piece really doesn’t fit with the rest of the line at all. 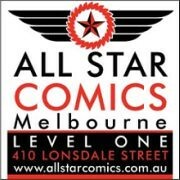 I have a running bet with someone at the AFB Forum about whether or not I’ll eventually crack and pick up the Batgirl piece, and I have a feeling I’m going to win by remaining a holdout. 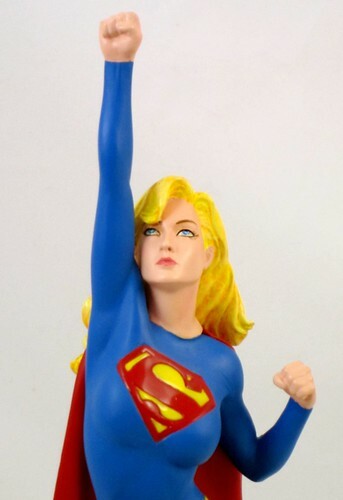 This lovely, serious Supergirl statue seals the deal, and makes me want more than ever a Hughes-style Babs Gordon to match. I’m now looking forward to the upcoming Hawkgirl and the recently announced Starfire and Raven pieces of this line. It’s great to see the line working out to some slightly less commonly produced characters, and I hope this is an indication of a long life to come for this great series. Great review, very nice looking statue. Someday I will have the funds to hunt them all down. Hello.. would you like to write some paid reviews in your blog? Please drop me an email for more details if you are interested.. thanks!